Science has shown us over and over again that we are what we eat-- so start eating happy! Why: According to an article on WebMD, researchers have discovered that omega-3 polyunsaturated fatty acids help to stabilize moods. A recent study conducted in New Zealand found that fish consumption was linked to better mental health. Omega-3 fats are known to build connections in the brain, and strengthen receptor sites for neurotransmitters. The result is a boost in mood-boosting serotonin production. 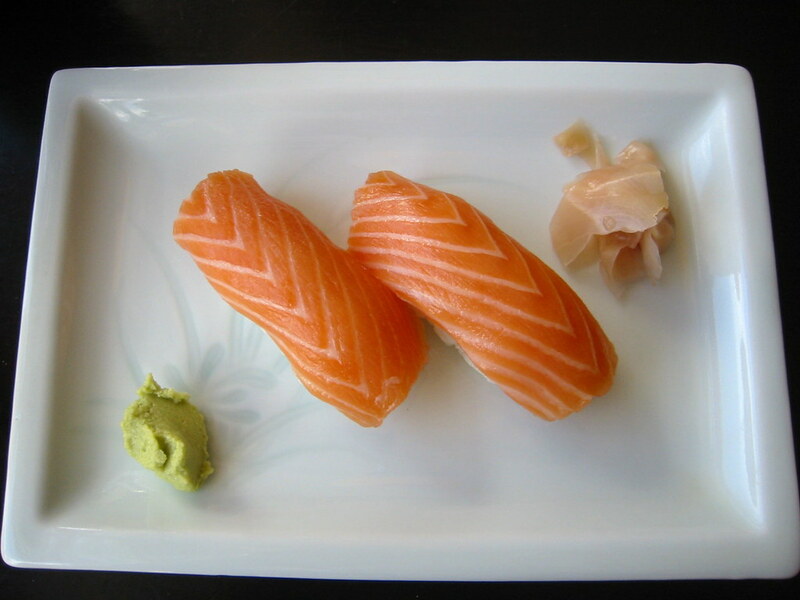 Choose fatty fish like salmon, anchovies, sardines, and tuna. 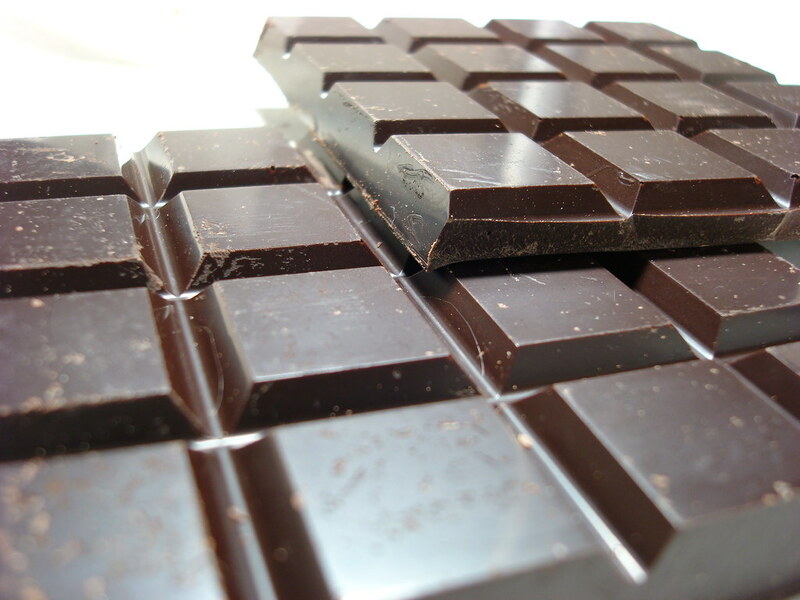 Why: An article in University Health News boasts that eating moderate portions of chocolate that contains at least 70% cocoa can have a massive impact on your mood. "Chocolate has been shown to improve depression and anxiety symptoms and to help enhance feelings of calmness and contentedness," UHN reported. The health benefits of cocoa reach further than mood. Cocoa contains two types of flavonoids--flavanols and flavonols-- plant-based antioxidants that help reduce the inflammation that's associated with cardiovascular issues. Why: Particularly nutrient dense, nuts contain a variety of macro-nutrients long-known to be critical to mental health. According to Psychology Today, the nutrients that top the list are "the B vitamin folate and the amino acid tyrosine, a precursor to the neurotransmitter dopamine. Then there's magnesium, which contributes to many enzymes that power the brain's intense metabolic activity." Walnuts top the charts for containing the most Omega-3s per serving. Bonus: Nuts are a super-portable snack to keep with you for munching on the go, and their high protein content will help keep sugar levels balanced in between meals. Why: An article in Psychology Today took a long, hard look at the benefits of grass-fed beef over other types of beef that are available. "When cows eat green plants like grass, they will also accumulate healthy fatty acids in their muscle tissue in a way that is similar to the way the fish do it," they report. "The problem is, most of the meat and chicken we eat come from animals that are fed grains, corn and genetically modified soy. When range animals are fed these grains, corn and soy, they do not collect these same unsaturated healthy fats in their muscle tissue, and instead collect more saturated, unhealthy fats." Don't make a common mistake and associate "antibiotic-free" and "natural" labels with "grass-fed." While certainly better than the majority of beef sold that does contain antibiotics (70% of all antibiotics used around the globe are used to make livestock grow faster!) the fatty acid profile simply won't offer the same brain-benefits that grass-fed beef will. 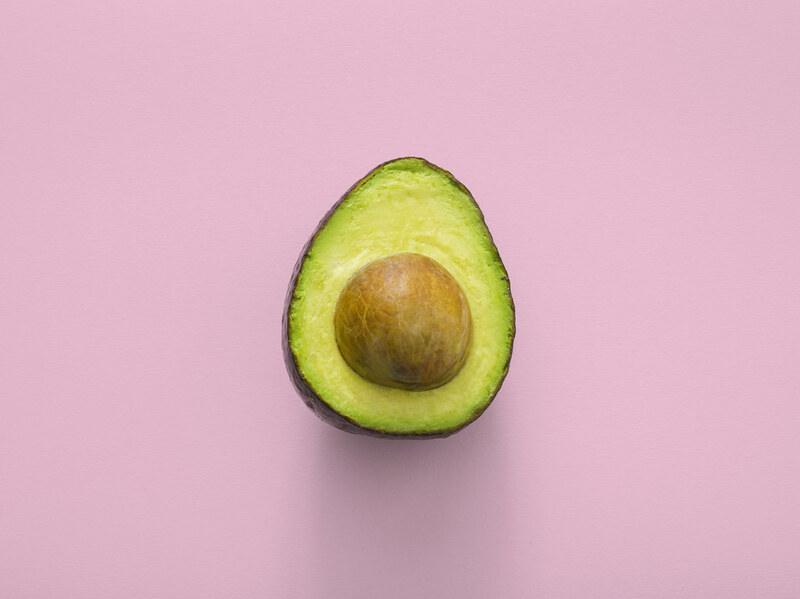 Why: According to Medical News Today, avocados are a nutritional power-house that can help to fend off cancer, improve digestion, keep hearts healthy, and fight depression. "Foods containing high levels of folate may help to decrease the risk of depression because folate helps to prevent the build-up of homocysteine, a substance that can impair circulation and delivery of nutrients to the brain," they report. "Excess homocysteine can also interfere with the production of serotonin, dopamine, and norepinephrine, which regulate mood, sleep, and appetite." Why: Carbohydrates are often linked to the brain chemical, serotonin. It comes as no surprise, then, that eating carbs can make us feel happier in no time. Whole grains (aka "complex carbs") is the important thing to remember though, if fighting depression is the aim. A 2015 study of nearly 70,000 postmenopausal women found that eating more whole grains was associated with lower rates of depression. On the other hand, eating refined grains like white flour correlated with higher rates of depression. Why: Science shows us that blueberries are one of the most powerful nutritional mood boosters, and can also help ward off dementia. In fact, in 2016, one study found that eating blueberries helped reduce the genetic and biochemical drivers behind depression and suicidal tendencies linked to post-traumatic stress disorder (PTSD). "We need to conduct a clinical trial in people to be certain that this works, but based on our studies in animal models, there is evidence that blueberries may help to mitigate some of the problems associated with PTSD," said Joseph Francis, Ph.D., the Everett D. Besch Professor of Veterinary Medicine at Louisiana State University's School of Veterinary Medicine and the study's senior author. "And in the meantime, it seems safe to say that eating blueberries can't hurt -- and may help -- in people with PTSD." 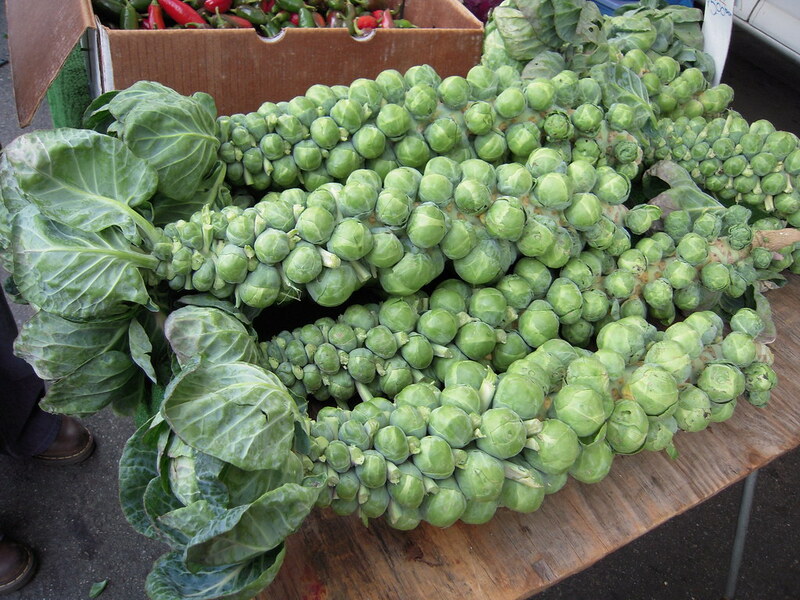 Why: Study after study has shown us that eating vegetables help improve mood and stabilize blood sugar. Why? Very Well Mind reports that leafy green vegetables are good sources of ALA (alpha-linolenic acid), one of the important Omega-3 fatty acids. The best to try? Brussels sprouts, spinach, kale, and watercress. Other nutritional powerhouses like fiber and folate also make dark leafy greens a smart choice when looking for foods to help improve mood. Bottom line: Eating a well-balanced, healthy diet goes a long way to improving mood and boosting overall health. Throw in some especially smart options like nuts, dark chocolate, blueberries, and avocados and you'll be eating your way to happy in no time. Disclaimer: Science has proven that food can help uplift moods, but if you believe you're suffering a clinical depression, see your doctor. WebMD offers a comprehensive list of symptoms associated with clinical depression.